IT Cosmetics created this product to truly cover redness and correct it, without having to use a red or yellow product, that still requires makeup over the top. IT Cosmetics infused micronized red cancelling pigments into a concealer cream that's also infused with anti-aging skin loving benefits! Bye Bye Redness Correcting Creme is a red neutralizing and correcting cream that completely cancels redness in your skin from view. Rich in peptides, hydrolyzed collagen and anti-aging technology, Bye Bye Redness Correcting Creme camouflages redness and any red-toned skin discolorations from rosacea, broken capillaries, blemished skin, irritated skin, sun damage, scars, age spots, physician procedures and more! Bye Bye Redness Correcting Creme gives perfect coverage that will never crease or crack and is designed to not only cover, but to make you skin appear supple and flawless! It's for anyone who wants the power to achieve their most beautiful even skin ever! Anyone who wants anti-aging, hydrating and soothing benefits of peptides, collagen, colloidal oatmeal, hyaluronic acid, aloe and avocado. Anyone who wants to instantly conceal redness and imperfections from view, and achieve a more radiant looking, even and flawless complexion. Universal shade works for all skin tones. 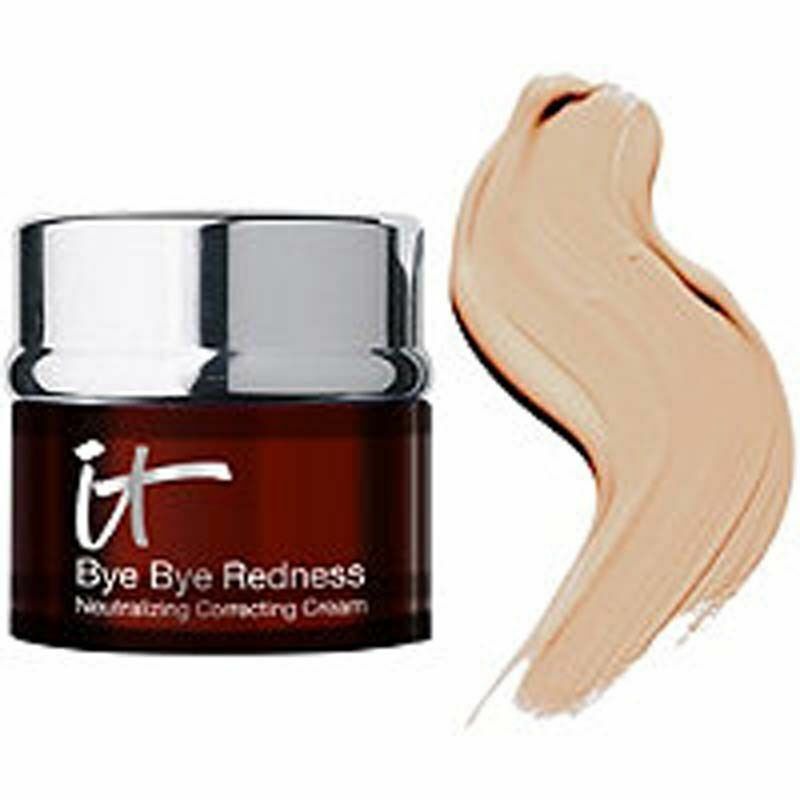 Bye Bye Redness Correcting Creme is infused with color-correcting and red-cancelling pigments as well as anti-aging peptides, collagen, colloidal oatmeal, hyaluronic acid, aloe and avocado. This neutralizing correcting cream also has soothing benefits and gives skin a more youthful radiance while completely concealing imperfections. The creamy formula blends easily and lasts all day! Apply No. 50 Serum Collagen Veil Anti-Aging Primer over moisturizer or onto clean skin, before makeup. A small amount is sufficient for your entire face, neck and under eye area. Wait for the serum to dry before applying foundation. Can also be worn as a daily moisturizer, or over the top of your night creams to maximize results.